We will be glad to arrange delivery of your furniture in our designated delivery zones, through a professional delivery service. Our goal is to provide you with excellent service and an accurate delivery. Please contact us if you have questions about your specific location. We offer standard delivery services to the greater Portland area in Oregon and the greater Olympia area in Washington. 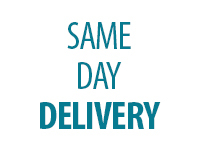 Same Day Delivery may also be available depending on the item and your location. Enter your zipcode as you are checking out and our standard delivery fee will automatically be charged if we deliver to your location. Our standard delivery service is $89 for up to 7 pieces of furniture. Your furniture will arrive 24 hours later or more, unwrapped and assembled, with the exception of beds (see below). We offer same day delivery at $129 for up to 7 pieces of furniture. Your furniture will arrive the same day after 3pm. Your furniture will be in the original packaging - NOT unwrapped or assembled. Please contact us if you would like Same Day Delivery* so we can confirm your address and expedite your order. We will assemble your bed (headboard, footboard, slats and rails) on site for a fee of $39 per bed. Due to liability issues, bunkbeds are not available for setup and will arrive in their original packaging. If you are replacing an existing piece of furniture and need it removed, we can arrange to do that for an additional $35 per piece of furniture. A person 18 years or older must be present to sign for delivery. You will be called the night before your scheduled delivery and given a 4 hour delivery window. If you are unavailable at that time, we will reschedule for the next available day. If you do not receive a call by 7:00pm the night before, please call the delivery company directly at: 503-781-9882; leaving a message if necessary. Your delivery time must be confirmed with the delivery company. Insurance regulations prohibit the delivery team from moving furniture that is not part of your delivery. Please be sure the area or room where you want the items placed is cleared in advance. Insurance regulations prohibit the delivery team from setting up bunk beds. Standard delivery assembly includes set up of dining, entertainment, and occasional pieces. Headboard, footboard, rail and mirror assembly is not included. There is a $39 charge per furniture suite for assembly. All furniture will arrive at your home unwrapped from its original packaging. If there are delays due to weather or traffic, the delivery team will keep you updated.